New York’s Community Distributed Generation (CDG) program is a promising resource in the toolbox for helping low- and moderate-income customers tap into renewable energy, but the program has some limitations. In its present form, residential CDG projects must have a minimum of ten members in order to qualify under the program, which leaves out many New York buildings with fewer than ten units. The New York Public Service Commission on July 17, 2015, issued an order establishing a Community Distributed Generation (CDG) program. The order allows, by use of net metering, customers who do not have renewable energy generators on their own property to participate directly in off-site projects. For low-income customers, apartment-dwellers, and renters whom may not be able to install solar on their own homes, the initiative allows them to benefit in shared solar projects hence providing a more affordable and clean energy option. (2) have a project sponsor who is responsible for: operating and maintaining the project; development of the project; managing the customers and subscription of new customers, and coordinate with the utility to provide customer information and allocate customer credits. The CDG program is empowering local communities to use clean energy which overall is a more economical and an environmental friendly option. While the program is a very positive step in the right direction, there is still room for improvement. 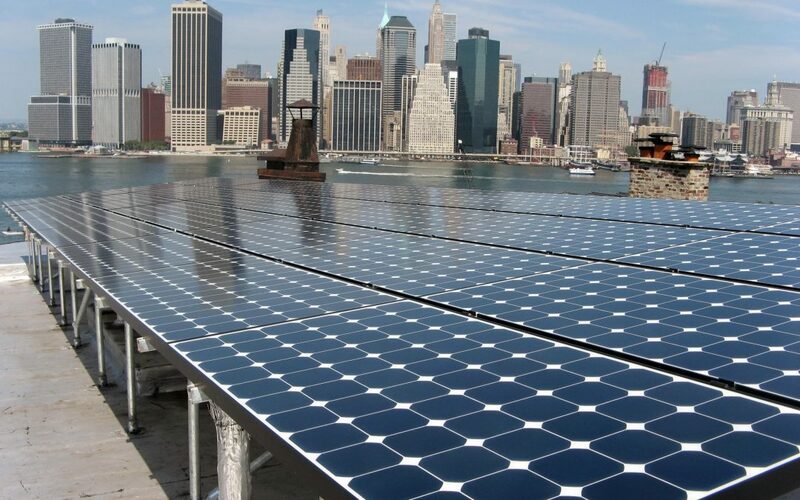 The City of New York, Solar One, GRID Alternatives, Natural Resources Defense Council, The Association for Energy Affordability, and Environmental Defense Fund on September 1st, 2016 filed a petition to waive the current ten-member minimum for Community Distributed Generation projects located on projects with multiple residential units. The Petitioners take issue that, with “recent changes in the solar market and technological advances in project design,” the ten-member minimum is a barrier to the adoption of solar. On-site deployment installations are “more viable because of concurrent design innovations that allow city buildings to minimize limits to allowable rooftop solar capacity brought about by compliance with local fire and building codes.” Ultimately, waiving the ten minimum membership would increase low and moderate income customers’ access to solar energy. Further, the Petitioners argue that the membership requirement is tailored for larger buildings and denies CDG benefits to many multi-unit residential or mixed-use buildings with fewer than ten metered tenants, smaller households, and the Housing Development Fund Corporations (HDFCs). Article XI of the Private Housing Finance Law (PHFL) makes provision for affordable homeownership and housing options to households fewer than ten through HDFCs. The Pace Energy and Climate Center supports the Petition to waive the ten-member minimum requirement. The benefits of Community Distributed Generation are manifold. It makes clean distributed generation accessible to electric customers who, due to financial and property related reasons, are not capable of supporting traditional onsite generation. Additionally, for low and moderate income households that rent their homes and physically cannot support onsite generation, it offers a pathway for these households to control their energy future and participate in the clean energy economy being fostered by New York State. Pace strongly believes that waiving the 10-member minimum requirement for properties with multiple residential units will serve to help New York State to meet its ambitious clean energy goals set forth in innovative programs and initiatives including the Clean Energy Standard (CES), Reforming the Energy Vision (REV), and NY-Sun Program. The CDG program is by design progressive and should be lauded for its ingenuity in the renewable energy sector. However, to achieve its objective of expanding the opportunities to purchase and share solar, the membership minimum requirement should be modified to apply to at least three members. This will encompass more communities living in New York state whether in larger buildings or smaller multi-family buildings and would additionally tap into high-density urban areas where transmission and distribution constraints are greatest.